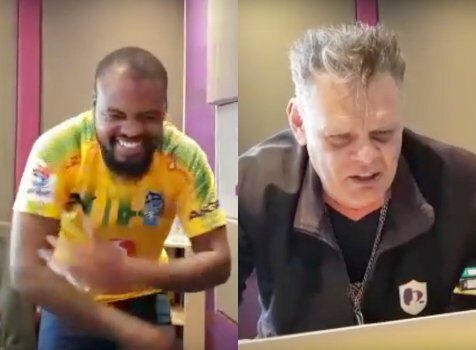 With less than a month to go to the FIFA World Cup, the official song has just been released and it's not exactly what we expected. The official FIFA World Cup song is normally a representation of the host country and the upcoming tournament but the recent song has us slightly confused. It is called 'Live It Up' and performed by Nicky Jam feat. Will Smith, Era Istrefi and produced by Diplo. Surprising not one of the artists is from Russia, the host country. Don't get us wrong the song is great if you are in a club and it also sees the return of Will Smith to the music industry but does it really capture the essence of the soccer tournament? We got reactions from the Barney and Mack when listening to the song for the first time. It will definitely make you laugh.